Michael Choi and Joe Weems Witchblade #80 Alternative Cover Original Art (Image/Top Cow, 2004). Top Cow's flagship character, New York City Police detective Sara Pezzini, displays the supernatural artifact known as the Witchblade, in this cover illustration penciled by Michael Choi and inked by Joe Weems. 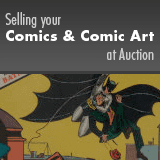 The art has an image area of 10.5" x 15.5" and it is in Excellent condition.